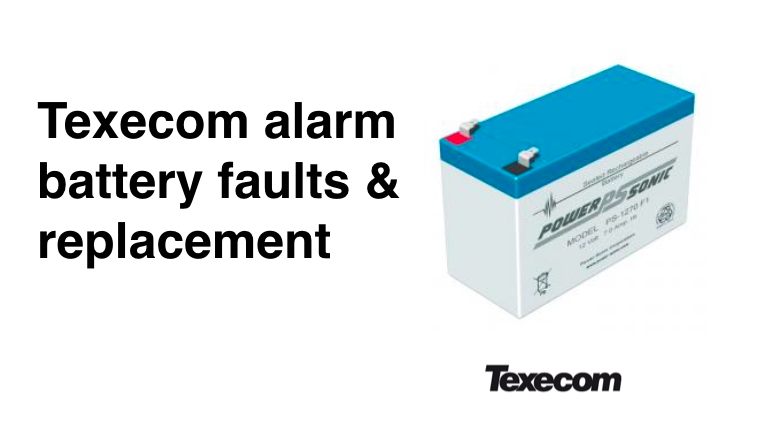 Battery problems are the most common fault with Texecom alarms. Whether you have a Texecom Premier Elite or Texecom Veritas the way of fixing your battery fault is the same – get a battery replacement. 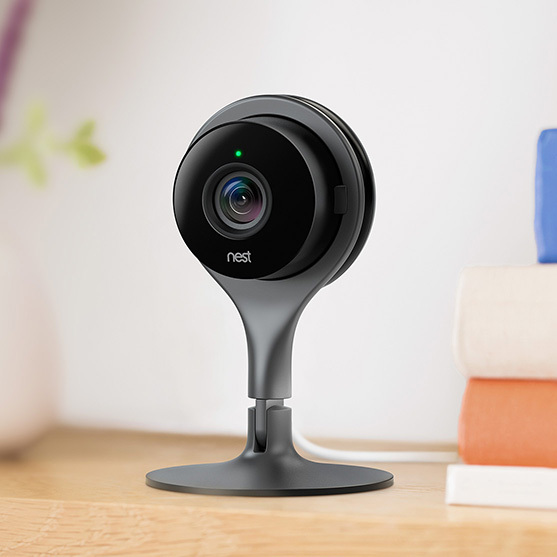 However, the specifics of how to actually change your battery and which battery your Texecom alarm system uses are different between the Premier and Veritas systems. 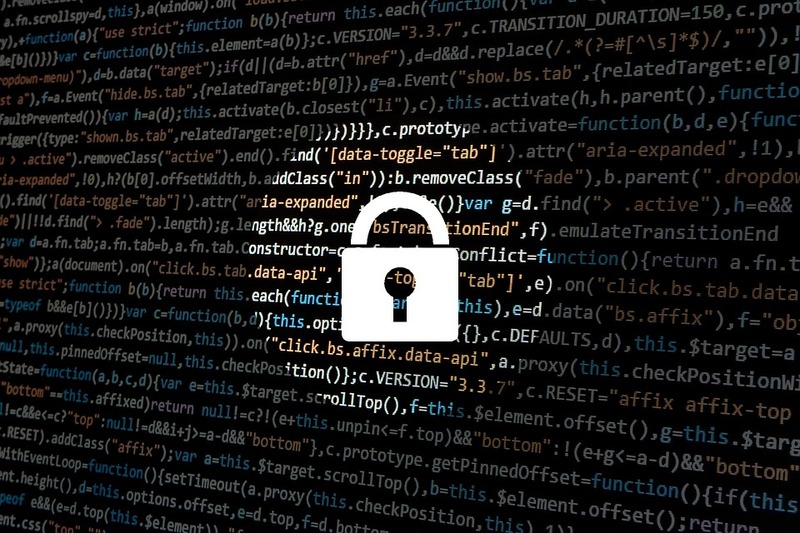 The following are notes on how to identify you’ve really got a alarm battery fault, how to know which battery fits your system and also how to change it yourself. If you’re particularly handy with a screwdriver and confident to play around with electricity / electronics, then you can test the battery in your Texecom alarm to see how fit it is / whether it needs replacing. 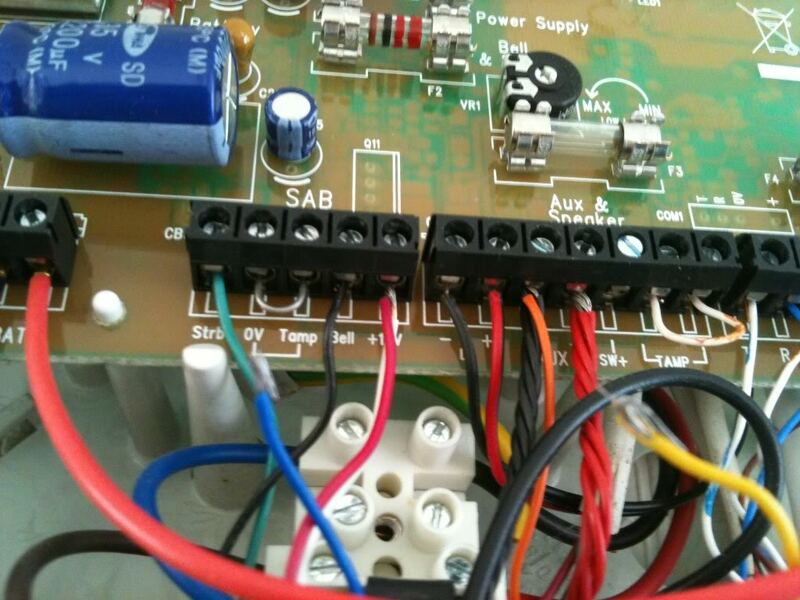 Leave the battery for 10 minutes and measure voltage again in 10 min time. If voltage drops below 11.5volts replace your battery. After you’ve replaced the battery, all you need to then do is the reverse actions, as in put the panel front back on (making sure you click back the tamper spring), and then re-enter the engineering code so the panel is back to its original ‘unset’ state. Locate the battery (it should be pretty obvious! 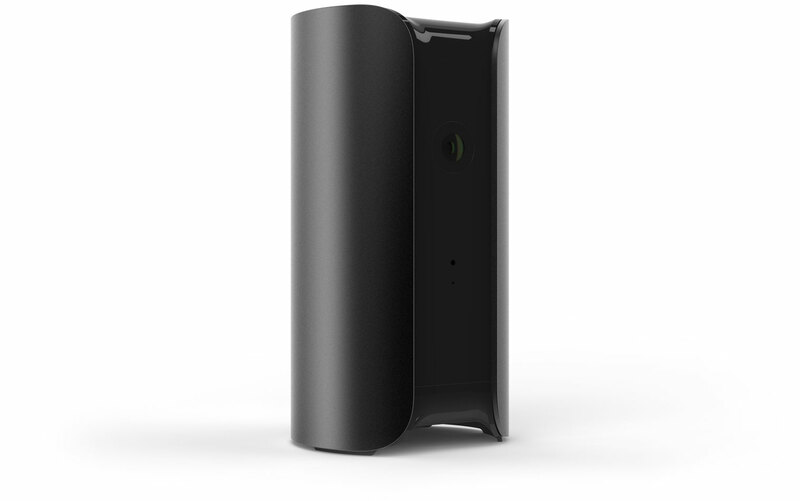 ), remove the power cables from the battery (black and red) and swap out the battery for the new one – attaching the cables once again. The following are the recommended batteries (both panel batteries and sensor batteries) for use in the Texecom Veritas and Texecom Premier Elite alarms. 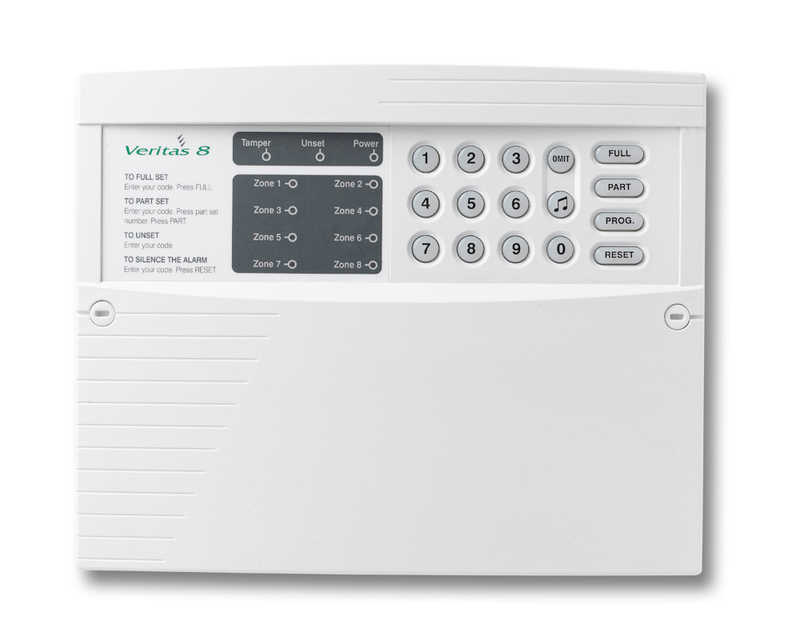 Veritas alarms are wired alarms and only have a single panel battery inside the alarm panel. 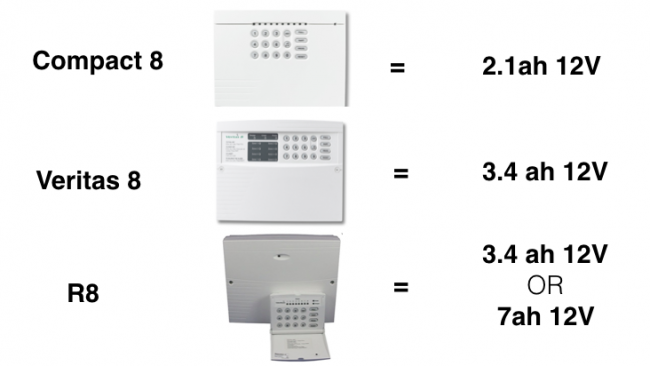 There are different battery options depending on which version of the Veritas alarm panel you have installed. As a guide, here are the different potential batteries. N.B. the important common factor in the all the batteries are that they are 12V alarm batteries – with the ‘ah’ referring to the size of the battery and the battery life (the bigger the ah, the bigger the size of battery and the longer it will last). 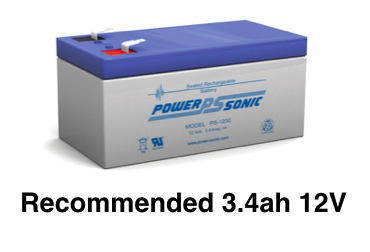 The Texecom Premier alarm usually has either a 3.4ah or 7ah 12V battery installed. 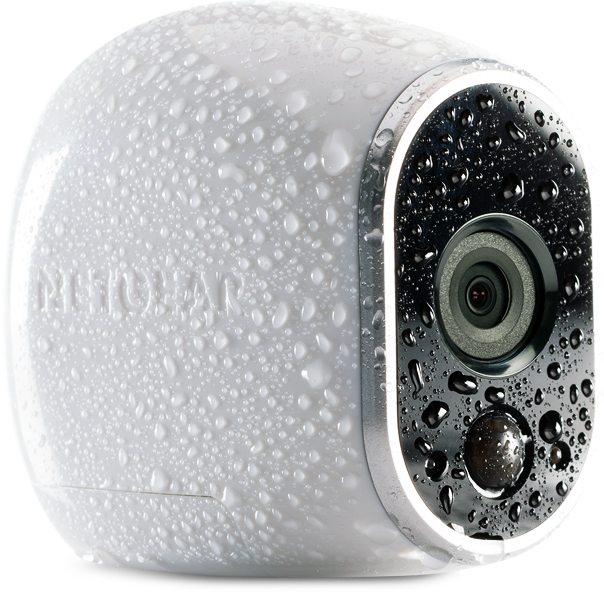 You have x3 options of how to deal with replacing your Texecom alarm battery – all of which we can help with . . .